If you want to understand Christianity, do not shut your Bible—open it, read it! Read the books of Moses, the prophets, the Psalms; they all point to Him. Study your Bible. It is ignorance that blinds men and women of this generation and keeps them outside of Christ. So do not have a hurried service at nine o’clock so you can go out and play golf and bathe in the sea—listen for your life! Here is the only message of hope for you. The Manse is receiving a new kitchen, which is exciting (track the progress here). But it is also consuming some of my time, leaving me unable to post the Sword and Trowel excerpts as speedily as desired. Soon I'll add more. A gift from the Continent. Do not forget the culture of the inner man—I mean of the heart. How diligently the cavalry officer keeps his sabre clean and sharp; every stain he rubs off with the greatest care. Remember you are God’s sword, His instrument—I trust a chosen vessel unto Him to bear His name. In great measure, according to the purity and perfections of the instrument, will be the success. It is not great talents God blesses so much as great likeness to Jesus. A holy minister is an awful weapon in the hand of God. 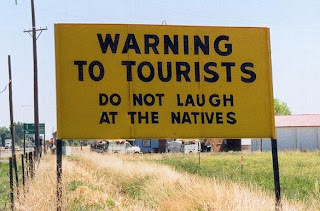 While travelling about recently, I noticed a couple silly signs that amused me. "15% discount for medical students, nurses and patients with 45 stitches." Here's some news I am quite excited to share. 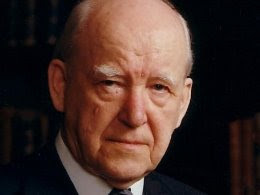 The MLJ Recordings Trust, with a dedicated North American website and the original UK website, has made agreements with OnePlace.com to carry a new weekly broadcast of Martyn Lloyd-Jones, titled Living Grace. I'm confident you will appreciate hearing MLJ preach; perhaps even more than you've appreciated reading him. There's even an option to subscribe to the podcast--I've just put mine into iTunes so I don't miss a single broadcast. If you have a blog, would you take a moment and post a notice of this news so others can take in the treasure of preaching now available? Dr Martyn Lloyd-Jones (1899 – 1981) has been described as 'a great pillar of the 20th century Evangelical Church'. Born in Wales, and educated in London, he was a brilliant student who embarked upon a short, but successful, career as a medical doctor at the famous St Bartholemew's Hospital. However, the call of Gospel ministry was so strong that he left medicine in order to become minister of a mission hall in Port Talbot, South Wales. Eventually he was called to Westminster Chapel in London, where thousands flocked to hear his 'full-blooded' Gospel preaching, described by one hearer as 'logic on fire'. With some 1600 of his sermons recorded and digitally restored, this has left a legacy which is now available for the blessing of another generation of Christians around the world – 'Though being dead he still speaks'. Gleanings from an 1894 Sword and Trowel: Spurgeon at a Wedding (part one). 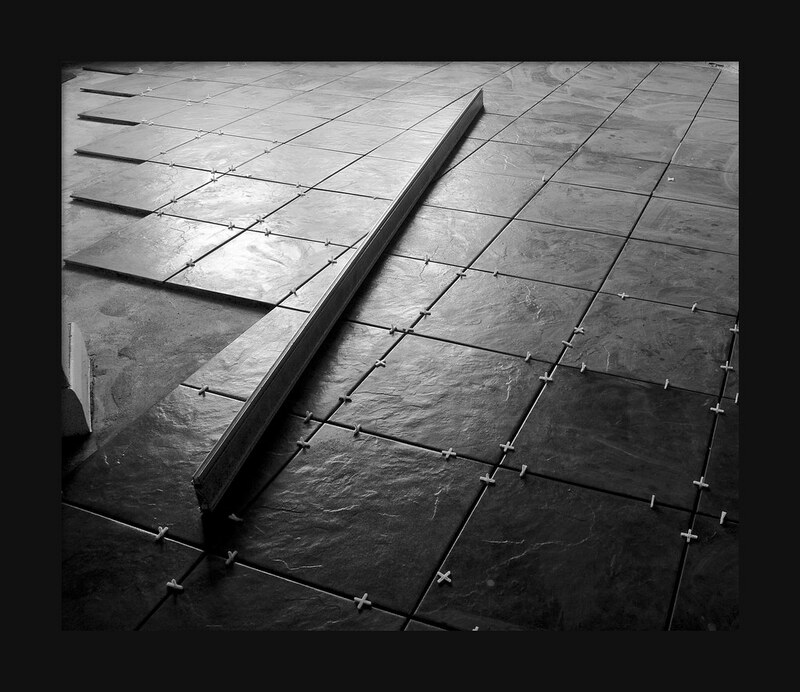 I now introduce to you one of my favourite selections from the 1894 Sword and Trowel—Mr. Spurgeon at a Wedding. The article is doubly sweet; it first gives an account by a Pastors’ College man of Spurgeon conducting his marriage ceremony, and then is followed by a recording of the sermon by the one of the editors of the magazine. (The editing of The Sword and the Trowel was a collaborative effort after Spurgeon died, so I am unsure of who authored the piece.) I’ll include the editor’s introduction and the groom’s account in this post, and will provide the sermon in another. “After expressing our hearty thanks, we adjourned to the chapel, where the ceremony took place. After the legal part of the service was completed, and he had addressed us in some wise, cheery words, he turned to those who had witnessed the ceremony, and made a very touching appeal to the unconverted. What an appeal that was! How our hearts throbbed, and our eyes filled with tears, as the great preacher, in simple, searching, pathetic language pleaded for some soul to yield to Christ as a fitting seal to that happy covenant of love! After the address came the closing prayer,—such a prayer as he alone could offer; it was full of yearning for souls, gratitude for the Lord’s goodness, and holy unction. “It is needless to say that we thanked our beloved President very heartily for his great kindness; but he persisted in saying that the obligation was on his side, thanking us for coming such a great distance to be married by him, and then adding, ‘Would you like an hour at “Westwood”?’ Of course we should; and time-tables were soon consulted, and later trains arranged for. So to ‘Westwood’ we went. He did not begrudge us the time, which he could ill afford to spare; but himself conducted us through the greenhouses and grounds. How those plants seemed to speak, as he described them to us! He appeared to be introducing us to friends as well as to flowers; a little tale about one, a sweet promise associated with another, and in a marvellous way he unveiled the works of God in nature. We had all the poetry of Pantheism set to the metre of the personality of God. From the greenhouses we went to the fernery, where we were shown the famous ‘mother-fern’, mentioned in The Sword and the Trowel for December, 1891. As soon as time allows, I will post the rest of this excellent article. The address Spurgeon gave included a most interesting charge to the wife in anticipation of her future role as the wife of a pastor. Be sure to return to read it. We have in our day too many among us who commit the sin of Uzza, for they deem that Christianity will suffer greatly unless they bring it into conformity with the ruling taste of society. They alter its doctrines, adorn its worship artistically, overlay its simplicities with philosophy, and its plain speech with oratory, and all with the zealous but presumptuous intent to help Him who needs not such helpers, and to preserve that religion which they only insult by their unbelieving anxiety. 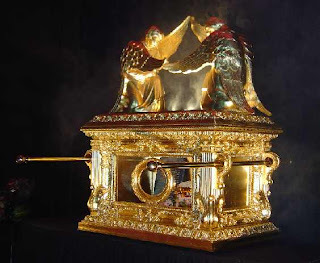 We must beware of even imagining that our hand is needed to steady God’s ark. The thought is blasphemy. If you are new to my blog, the life word, welcome. The chart above reveals that I’m not accustomed to having so many show up. Phil Johnson’s kind recommendation brought a surge of visits! My dear friend's tip led you here, and I hope what you find will bring you back. For the next several posts, I plan to continue pulling out sections from an 1894 edition of the Sword and Trowel I acquired. I've listed below the kind of things you’ll find here over the next several weeks. I do hope you’ll return. And, if you like what you see, please bookmark my site, link me to yours and let others know too. I’ll never forget my first visit to The Master’s Seminary, over which John MacArthur presides as president. I sat in a theology class taught by George Zemek and took in with sheer delight God’s word expressed so fully, so completely, so passionately. All through the week, there was, usually, plenty of hard work for the students. English Literature and Mental Philosophy were taught by the laborious Fergusson. Those who were in his classes had to work, or woe be to them! Gracey, mildly yet firmly, led his men through Greek, Latin, and Elisha Cole’s Divine Sovereignty, till their brows throbbed, and their backs ached. He smiled on the industrious and quietly marked the laggards. Then Mr. Rogers, in the general classroom, conducted us to the fountain-head of Theology. The march was over the old highway of logical and Scriptural reasoning; but, often, “the old man eloquent” would cheer our drooping spirits by rare bursts of matchless oratory. The Vice-President drilled us in Charnock on the Attributes, and then made us grub Hebrew roots till we were as weary as the Israelites in the brickfields of Egypt. In those days, the President was in his prime. His step was firm, his eyes bright, his hair raven-black, his voice full of music, pathos, and merriment. Before him were gathered a hundred men from all parts of the United Kingdom, and not a few from beyond the seas. They were brought together by the magic of his name, and the attraction of his personal influence. His fame has gone out into all lands. His sermons were published in almost all languages. Many sitting before him were his own sons in the faith. Among his students he was at his ease, as a father in the midst of his own family. The brethren loved him, and he loved them. Soon, the floods of his pent up wisdom poured forth; the flashes of his inimitable wit lit up every face, and his pathos brought tears to all eyes. It was an epoch in student-life to hear him deliver his Lectures to my Students. What wide discourse he gave us on the subject of preaching! How gently he corrected faults, and encouraged genuine diffidence! What withering sarcasm for all fops and pretenders! Then came those wonderful imitations of the dear brethren’s peculiar mannerisms,—one with the hot dumplings in his mouth, trying to speak; another, sweeping his hand up and down from nose to knee; a third, with his hands under his coat-tails, making the figure of a water-wagtail. Then the one with his thumbs in the armholes of his waistcoat showing the “penguin” style of oratory. By this means, he held the mirror before us so that we could see our faults, yet all the while we were almost convulsed with laughter. He administered the medicine with effervescing draughts. After this, came the wise advice, so kind, so grave, so gracious, so fatherly; then the prayer that lifted us to the mercy-seat, where we caught glimpses of glory, and talked face to face with the Master Himself. Afterwards, the giving-out of the appointments for the next Lord’s-day took place. The dear President read from the letters in his hand, while we listened in expectation. “Here is one from an important church in a large city. They want a brother who must be eloquent, learned, polite, and very pious. Gentlemen, you are all endowed with these qualifications, how can I make a selection? Here, Small, you can go, for you are about the smallest of the lot, and we must keep our large men for the little places; they will be sure to fill them. “An extra good brother is called for from Scotland. He must be sound in the faith, and able to live on a pound a week. My thin brother Snooks, will you try ‘the land o’ cakes and heather’? Yes, I knew you needed less than any man in the College; you lived on eighteenpence one week, before you entered. 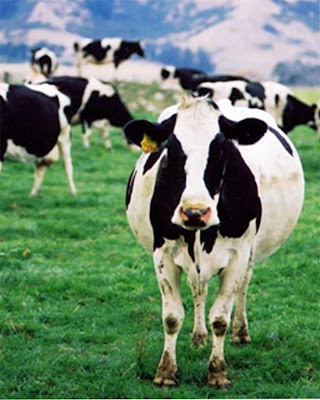 If you get any thinner, come back at once for some English beef and plum-pudding. “Gentlemen, here is another letter from the ancient church of Puddleton. It has had sixteen men in weekly (weakly) succession. Remember that it is a ‘hyper’ church, and wants at least sixteen ounces to the pound. Who will volunteer? Black is the man. Go, my brother, but be wise as a serpent, and harmless as a dove. In the meantime, hold on with both your hands; when they fail, catch hold with your teeth; if they give out, hang on with your eyebrows. After the letters were disposed of, and the class dismissed for tea, then came the men who wanted advice. Some were in trouble, others in joy; and the President listened patiently to all their tales; anon he would laugh, and then he would weep. At last he is through, “weary in the work, but not weary of it.” His cheery voice gradually dies away as he ascends the stairs to his “Sanctum.” We did not grieve as we parted from him, for we knew that, God willing, on the next Friday afternoon, we should once more see his bright, genial face and hear his wit and wisdom again. The present students listen in vain for the tones of that wonderful voice in the class-room; they hear only its echoes. He has gone up in the “the unseen holy,” where he awaits his sons in the faith. During the past thirty-eight years, nine hundred and nine men exclusive of those at present studying with us, have been received into the College, “of whom the greater part remain unto this present, but some (ninety-six) are fallen asleep.” Making all deductions, there are about seven hundred and thirty brethren. Of these, six hundred and fifty-one are in our own denomination as Pastors, Missionaries, and Evangelists. We ought to add, that for years past we have lost all traces of many of those referred to, and have reason to believe that several of them are dead. I would love to hear your reaction to that little article. What amazes me is the high percentage of pastors, missionaries and evangelists that were produced in relation to the number of graduates from the Pastor’s College. I’m not versed in seminary stats, but I am astounded that well over 700 of 909 trained men went into full-time ministry. What is your estimate of the reasons for that? Please comment. Love this item shown this morning on the BBC's Breakfast show. Be sure to watch the video. Should the story be added to this list, or to this one? Please leave your comments and tell me what you think.